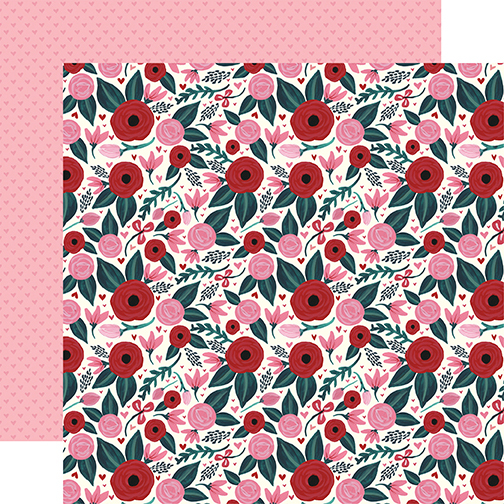 This 12x12 double side and Textured Cardstock has Bold & Gorgeous Florals on the frontside. The reverse side has a Pink tone-on-tone with mini Hearts. Look for individual Designer Papers and Sticker Sheet that are part of the "Hello Sweetheart" Collection by Carta Bella.